Time to pick a winner for the 2014 Strike Out ALS 5K! Thanks so much for participating! A random number generator selected one winner and that was lucky #3! Lisa is a big Sox fan so I’m happy that someone who really loves the game and the stadium gets to run it for FREE! Lisa, contact me (amanda@tootallfritz.com) as soon as possible so that we can get you signed up for the race! Congrats, girl! 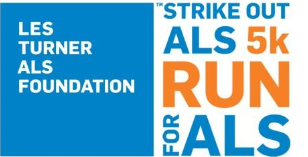 The rest of us can register to run the 5th Annual Strike Out ALS 5K by clicking HERE. The race is on Tuesday, July 15th and one of those coveted weeknight events that is fun for the entire family. Go enjoy the stadium and a great race for a great cause! This entry was posted in Giveaways, Running and tagged 5K, 5K at US Cellular Field, 5K in Chicago, ALS, Lou Gehrig's disease, Run for a Cause, Running, Strike Out ALS 5K, weeknight 5K by tootallfritz. Bookmark the permalink.